Family rooms in the Pension Nanga Parbat are ideal for families and you can enjoy a wonderful alpine panorama from the balcony. The furniture is rustic and a TV awaits you. 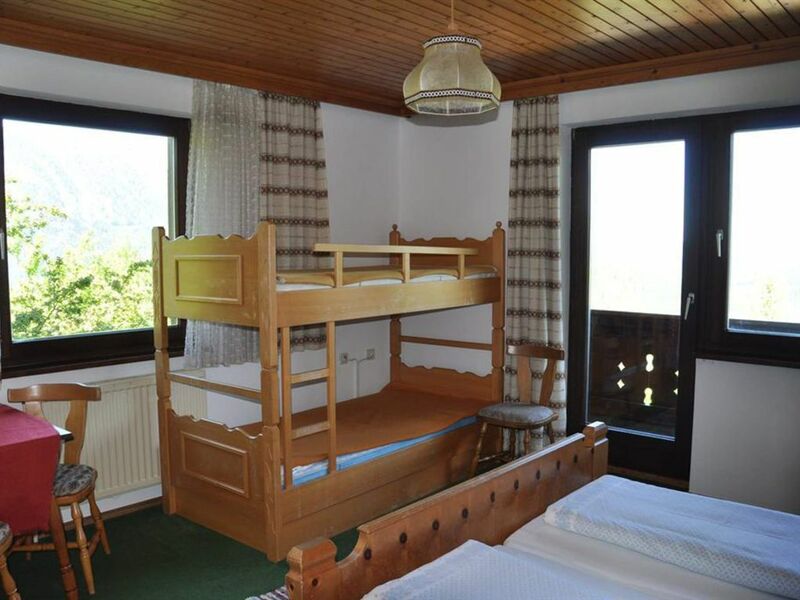 For a healthy sleep, a double bed and a bunk bed await you. The bathroom is equipped with a shower, toilet and a sink! The magnificent panoramic view of the quiet Pension Nanga Parbat on Sonnenplatzerl Oberweng in Spital am Pyhrn is your feel-good place, because with us you have the sun all day! A family atmosphere in our house is very important to us. Arriving and feeling good, the holiday can be a pleasure. In winter, there is a cross-country ski trail directly in front of the house, in summer the mountain bike route passes by and you can do many hikes without having to start the car.